We want players who will make a major impact straight away rather than squad players." 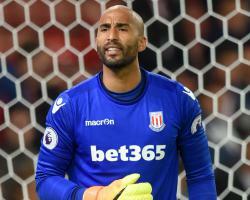 The clubs are in talks over the on-loan goalkeeper, whose deal expires next month, but Hughes insists time is running out to do a deal for the 33-year-old. We have a fee we feel he is worth - a market value - and we aren't going to be held to ransom. "If it doesn't change soon then we will have to look at other options." Grant will feature when Stoke host Leicester in the Premier League on Saturday after a clean sheet in Wednesday's 0-0 draw with Southampton. They will just be a little frustrated."